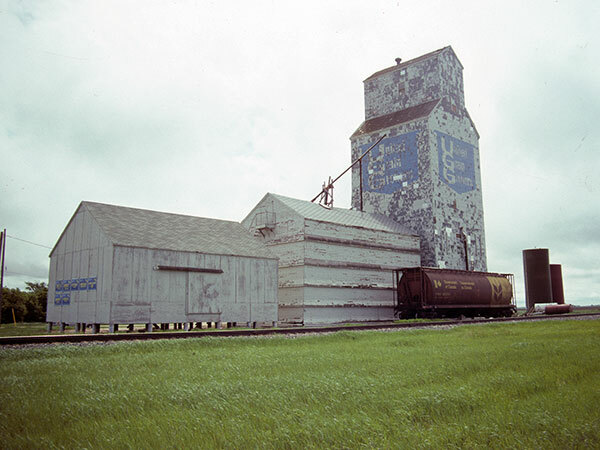 A United Grain Growers grain elevator at Arnaud, on the CPR Emerson Subdivision in what is now the Municipality of Emerson-Franklin, was acquired in April 1959 from the Canadian Consolidated Grain Company. Its capacity in 1972, with an associated wooden annex, was 91,000 bushels. 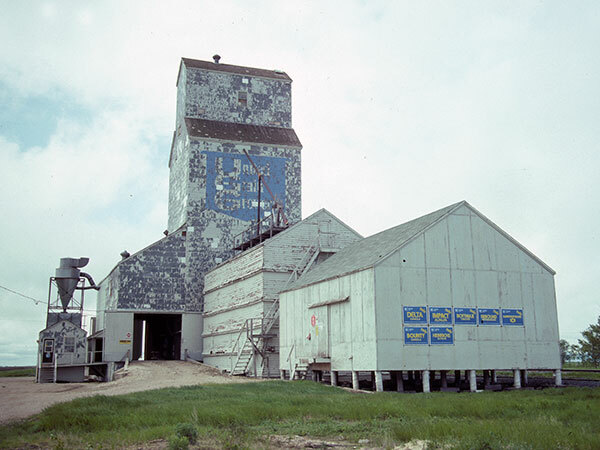 A second elevator, formerly owned by Ogilvie Flour Mills and purchaesd in 1960 by Manitoba Pool, was sold to UGG and operated by a single manager. In 1973, the #1 elevator was demolished and its annex was moved to the #2 elevator which was removed sometime between 1994 and 1998. Source: Historic Resources Branch, Grain Elevator Inventory, slide 1937. Source: Historic Resources Branch, Grain Elevator Inventory, slide 1938. “History of United Grain Growers Local #562, Arnaud, Manitoba.,” United Grain Growers Ltd., MSS76, Box 59, University of Manitoba Archives & Special Collections.